In India, girls/ladies purchase a used car for a very obvious reason: it’s cheaper than a new one, thereby making it a smart choice. Also Used cars are not anymore the poor quality vehicles, in fact with today’s long lasting vehicle quality and warranty, used vehicles come with durable engines providing services for many years after purchase. The need for mobility is very large in India, and country also has one of the fastest developing economies in the world. Easier finance options, newer and more fuel-efficient models, rising incomes have only added to the push even as new business models, such as e-commerce, also help purchases. Indian Women also plays quite a role in making India - one of the world's biggest markets for cars, as women today are independent and look forward to comfort and style in everything they own – whether it’s a pair of shoes or conveyance for commuting to various places they desire. Therefore, many players in the industry have started dealing in used two-wheelers. But Shriram Automall IndiaLimited (SAMIL), being the only and No.1 Service Provider of Used Vehicles& Equipment in the country has bought huge variety of used cars of every make and model at optimal prices. Company understands that, buying a used car isn’t as easy as it sounds. So, here are quite a few things you need to consider when buying a used two-wheeler. 1 Consider Safety – Being a girl, safety is one of the most important factor you should look into. Make sure the car have airbags, ABS technology which will help you be safe in an unfortunate case of an accident. 2 Determine a range of cost - Before you even get started, you should decide how much you are willing to spend on the car. You also should have an idea of how the transaction is going to be financed. Like with SAMIL, you can opt for easy finance option with STFC (Shriram Transport Finance Company) – India’s No.1 NBFC. 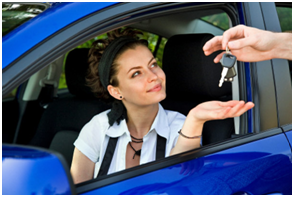 Always test drive the car - You need to spend some time behind the wheel of the car you are thinking of buying. This allows you to have an idea of how the car responds to you as a driver. Consider the Cars Best Suited for You - Your inner child may want a sharp looking sports car but your family might need an SUV. The used car that you purchase has to be what best fits your lifestyle and your needs. Research the vehicle - The Internet allows you a great opportunity to find out more about the model of car before you purchase it. Use MySAMIL App and acquire the best used car suited to your needs. Request Pre-purchase Inspection – With SAMIL, you get to do the inspection by choice. Visit the Automall two days prior to the event day to inspect the vehicle you are interested in to utmost satisfaction. Validate Ownership - This is particular true if you’re dealing with an individual and not dealership. Make sure that whoever is selling the car to you is in fact the real owner. A used car can be an affordable vehicle that can provide the transportation you need to get to work or go on vacation. The closer it fits your needs the more use you’re going to get out of the automobile. So, now choose the right one for yourself at optimal prices from Shriram Automall. Visit your nearest Automall or download “MY SAMIL APP” to go through their latest inventory filled with used vehicles of every make & model. You can also click the link below to simply register yourself. Choose the Right Tyres for your Beloved Vehicle! Choosing the appropriate tyre for your beloved automotive is very important. Thereby with this info-graphic Shriram Automall aims to help you learn more about which tyre is best for your car. Acquire Any Pre-owned Truck Model at Optimal Prices from Shriram Automall! Looking forward to upgrade your current Truck? Let’s face it, when the time comes up to upgrade or replace your current used truck, we often face the state of dilemma, where we are just not able to decide whether selling the truck is a best decision or trading it. Therefore Shriram Automall IndiaLimited (SAMIL) has come up with the third option that is company itself. Since its inception in 2011, company has very remarkably, while creating a name of trust for itself unfurled 70+ Automalls, in every nook and corner of the country. Being the one stop solution provider to everyone’s demand of pre-owned vehicles & equipment, Shriram Automall offers a plethora of services under one roof to its customers. The company focuses on making dreams come true by evolving proud owners of an asset out of the people who believes in making things happen. In India almost every commercial or industrial business makes use of trucks. Generally, the start-up cost of such businesses contains an amount required in acquiring trucks, be it a new or used. Thereby used Trucks in the commercial vehicle segment have always been in the pivotal demand. Company makes sure to match the demand in the market by providing sufficient amount of used trucks with both quality and quantity. 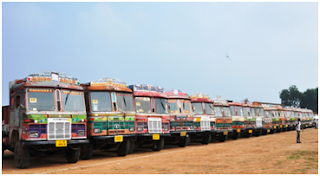 Through advance services like physical bidding, online bidding, one stop, and private treaty one can acquire used trucks at reasonable affordable prices with SAMIL. Company has become a big hit among both buyers and sellers through their astonishing services which we can figure out easily through customer’s panorama. With the substantial experience and large inventory filled with used enormous vehicles and equipment to choose from, company has evolved in a profound manner in area of buying and selling pre-owned vehicles and equipment meanwhile creating the long lasting relations. Customers can visit the nearest Automall which company has placed all over the country and inspect the vehicle in the inventory before making the deal and look for the best way to buy the used Truck with help of SAMIL’S team. If you are also looking forward to be an owner of a car, bike, scooter, construction or agricultural equipment, Shriram Automall provides you the one stop facility with great inventory all you have to do is click this link and register yourself. Automotive industry is as we all know one of the leading industries globally. Indian Auto industry, one of the biggest and most competitive industries in the Market, plays quite an important role in Indian National Economy, while contributing to 7% of country’s GDP. Shriram Automall India Limited(SAMIL) – The No.1 Choice for used vehicle and equipment transactions in the country is a company that offers multiple bidding platforms to bid and acquire used vehicles or equipment of every make and model. SAMIL’s online bidding facility is one such method of acquiring pre-owned vehicles and equipment. The festive season brought cheer to the new and used vehicles industry, especially in the organized segment. Demonetization and implementation of goods and services tax (GST) which had delayed car purchase decisions, led to a latent demand, which resulted in a spike during the festive season. 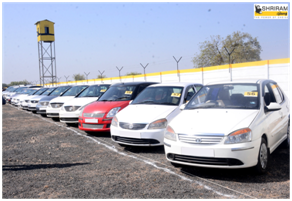 SAMIL itself being the largest organized service provider of used vehicles and equipment in the country received huge demand for used vehicles and equipment in the festive season. While the year-on-year (YoY) growth in October so far is in the range of 15-20 percent, the growth over September 2017 in the used vehicles space has been a staggering 40 percent. In 2016 used car sales had beat new car sales as such. Around 3 million new cars were sold in the domestic market last year, while 3.5 million used cars were sold. While the new car market has been growing at 8-9 percent, the used car market is growing at 15 percent. 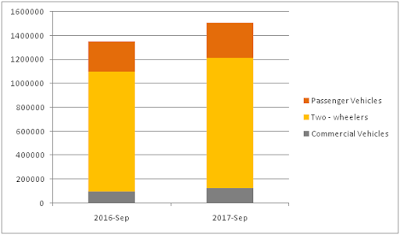 According to the survey, this year both September and October have had the benefit of festive demand; however, demand has been good for October, growing 30 percent over September. If you as well are looking forward to acquire the used vehicle or equipment of any make and model, visit your nearby Shriram Automall today. As while acquiring used you can get the better model without hampering your budget. Thereby it’s not only economical but also a smart way to get what you want. So, what are you waiting for visit your nearby Automall today or click the link below for easy registration. Shriram Automall India Limited (SAMIL) has always fulfilled all requirements of pre-owned vehicles never disappointed the used automotive industry and its customers. As the aim to be there for every used vehicle & equipment demand/requirement in the country has helped the company to keep it’s most intensive inventory updated with all types of used automotives of every make and model. From the record of becoming the No.1 Used Vehicle & Equipment Transaction Platform in just a span of 6 yrs, we can figure out that company is not only No.1 but also the OneStop Solution provider in the country. You can find used vehicles like Cars, Bikes, Scooters, Buses,Trucks (HCV, MCV, LCV) etc. and used equipment like Agricultural Equipment (Tractors, Harvesters etc. ); Construction, Earth-moving Equipment (Excavator, Back-hoe Loader, Cranes, Concrete Mixtures etc.) in any and every 70+ Automalls of the company that are sprawling in entire country in every nook and corner. But today let’s have a look at the most in demand used passenger vehicles in the SAMIL’s inventory. Company opens the gate of their huge inventories in the country, for its customers to inspect and choose the best used passenger vehicles for their requirements. So, if you as well are looking to buy or sell any used vehicle & equipment SAMIL is your one stop trustworthy solution, which with transparent negotiable deals through different platforms will provide you the memorable customer experience. India is aggressively working towards establishing itself as a leader in industrialization and technological development. Shriram Automall India Limited (SAMIL) being the leading platform for used vehicle & equipment transaction in the country provides the customer friendly technologies that are not just advance but also convenient. All the services and platforms that SAMIL offers have worked as an innovative revolution for the used vehicle and equipment industry, and so do its innovative services and platforms. Besides the company’s majorly preferable Physical Bidding Platform, Company also offers Private Treaty and Online Bidding Platforms with all new features to help customers participate in physical bidding events from anywhere and everywhere. With all new features to help customers participate in physical bidding events from anywhere and everywhere through their desktop. Company facilitated this bidding platform. 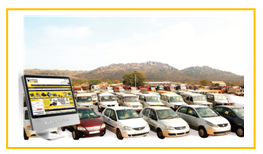 It is the most convenient platform to view, bid, own or dispose pre-owned vehicles & equipment. It provides access to over 8,000 used vehicles & 500+ online bidding events per month resulting in Best Price Realization through Multiple Bids and End to End Support to Buyers. Mobile is the future and there is no such thing as communication & comfort overload. Thereby company while coping with the new advance technological world launched an application called “MY SAMIL APP” with an easily accessible user friendly interface, which will help customer s to pace up with the growing advance technologies of this era. Giving customers a vast range of easily accessible services to choose from, Company’s one stop classified KIOSKS work as the directory for the interested buyers. Theses KIOSKS aim to provide detailed Real-Time Information on 10,000+ Used Vehicles & Equipment at a time. All the facilities initiated by the company aims to bring the power to participate, among the customers from anywhere and everywhere. So does the SMS Bidding facility. As company understands for everyone placing the bid online is not as convenient as it seems. Thereby they can participate in the live bidding event by placing bid on their desired used vehilce through SMS. So, if you are looking forward to acquire or dispose used vehicle or equipment but have no time to visit your nearby Automall, register yourself simply by clicking the link below or by download our very own MySAMIL Mobile App. You can also choose any of the platforms given above according to your convenience. As our esteem professional team for every segment is there to help you with all your used automotive requirements.